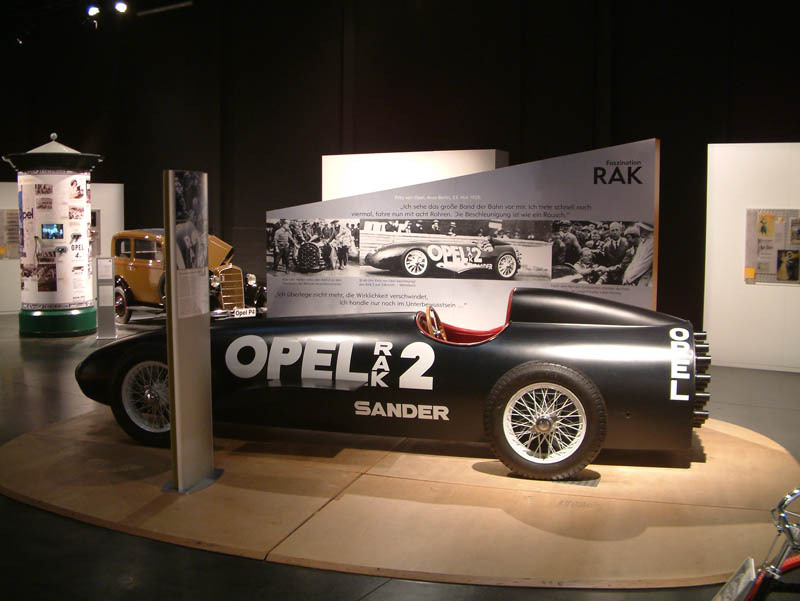 Modell of the Opel Rocket Car RAK 2 from 1928. This five meter rocket with wheels can be seen during the tour of the Opel car manufacturing plant in Rüsselsheim (nearby Frankfurt). Fritz von Opel tried to break the speed record with this car on May 23rd, 1928 on the AVUS in Berlin. 24 solid rockets with 120 kilograms of explosives boosted him to 230 kilometres per hours. This was not enough for the world record but definitely not a very comfortable ride.